Still, I want the helmet and head, especially the mandibles, to look like the H2A or H3 elites. I don't know about everyone else, but as long as I they are wearing the undersuit, I could care less about the armor on the arms. What I don't like about the armor are those absurd Frisbee helmets. I feel like I should be tossing its head back and forth rather than be intimidated. I want to see the thin helmets that curve off into a single point and spikes protruding out like a crown. This is what a noble helmet looks like. What an honorable warrior of the Arbiter should be wearing. That's not armor that's the undersuit. The Zealots from 4 had undersuit sleeves. This is armorBTW, is that the shortest Elite in history? Lasky is 5'11"
Yes. Bring back the paper airplane hats! I wasn't talking about the undersuit, I was talking about the red Piece of armor added to the forearm. Y'all need to brush up on your Elite fashion. Every show on E! and TLC and the Style Network is saying Halo 4 Elite Armor is IN! That's the undersuit, it's just painted red and has some design to it. It's so tight you could see his wrist bone. You might be right, however I'd say that These part are at least a mix of undersuit and armor. Well it doesn't really matter anyways, cause I'd care way more for the helmet and head. 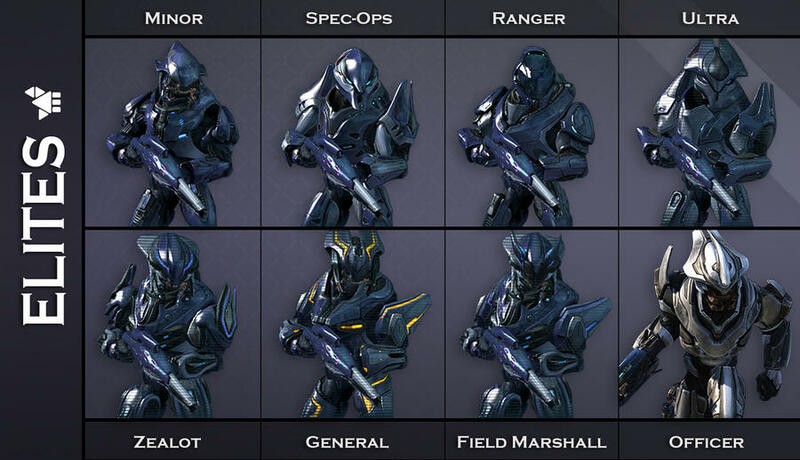 If Halo 5 has 30 different multiplayer armor spartan sets. I'd rather 343i give us 29, and use the time and resources that could have been used to create 1 spartan multiplayer armor set model, and instead create a proper Sword of Sanghelious Elite campaign Model. The Swords of Sanghelios (Arbiter's Covenant) should bear a design that looks like this rather than this. 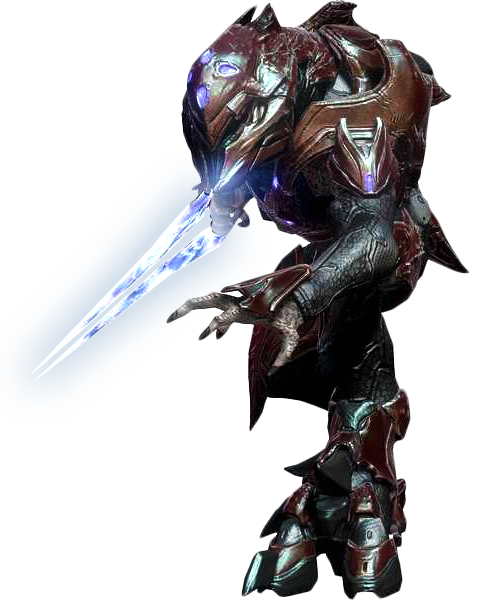 The Swords of Sanghelious are the official army of the Elites, and should be wealthy to wear the shiny Elite armor from Halo 1-3, it makes canon sense too. Jul Madama's Covenant is poor and post-war terrorists, so it makes sense for them to war run down armor (as depicted in Halo 4 they can't afford sleeves and their arms are exposed. Cortana even said "Not fitted like standard military"). I"m sure everyone would agree it would be worth having one less multiplayer spartan armor variants, if those time and resources could go into making a proper Sword of Sanghelious character model. The Swords of Sanghelious are the official army of the Elites, and should be wealthy to wear the shiny Elite armor from Halo 1-3, it makes canon sense too. Jul Madama's Covenant is poor and post-war terrorists, so it makes sense for them to war run down armor. I"m sure everyone would agree it would be worth having one less multiplayer spartan armor variants, if those time and resources could go into making a proper Sword of Sanghelious character model. I'd also rather have one side character with Special design less than making an entire faction exactly like their enemies apart from the Color. 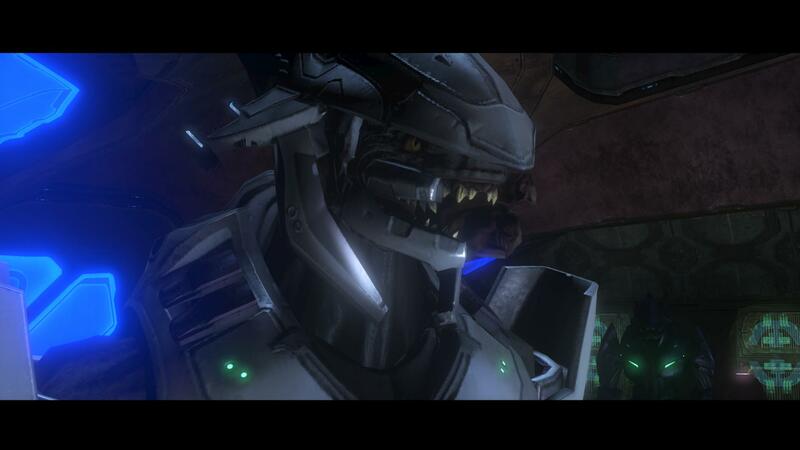 I don't understand why Thel's armor looks cool yet almost similar to the H4 armor only with a taller helmet. They could have just implemented the H2A armor for him and the rest of his Elites, or just create something completely new. This is just how the elites look now we have to adapt. Or acknowledge that Thel's faction can wear something else that the standard combat harness (eg all those other dozen harnesses we've seen and more) like Grim said in th other thread. I want the Halo 5 Marines to have H2A armor. The new Marines (Halo 4) don't make sense wearing a Kevlar vest from 2010s. What happened to the futuristic chest peice?